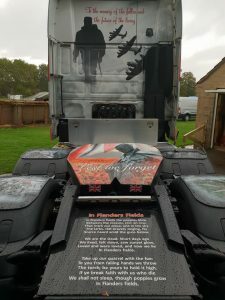 The Poppy Of Honour – Displaying over 1 million individual poppies with the hand written names of every serviceman and women killed or reported missing in action during WW1. 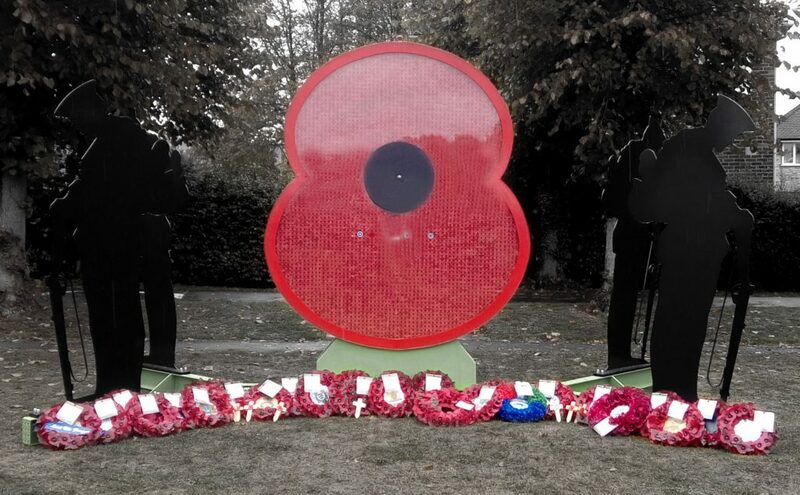 What a privilege to supply, process and deliver the glass to encase this memorial. 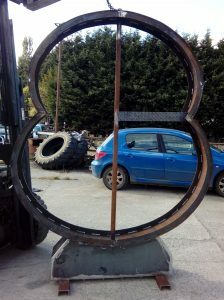 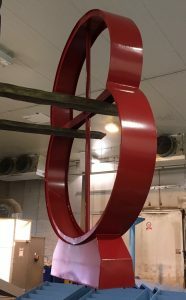 The Poppy rib, constructed of welded steel forms the frame for the memorial. 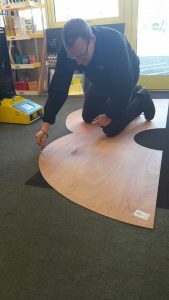 Rob from our St Austell branch painstakingly marks the dimensions from the supplied template for the CNC machine to enable us to cut the glass. 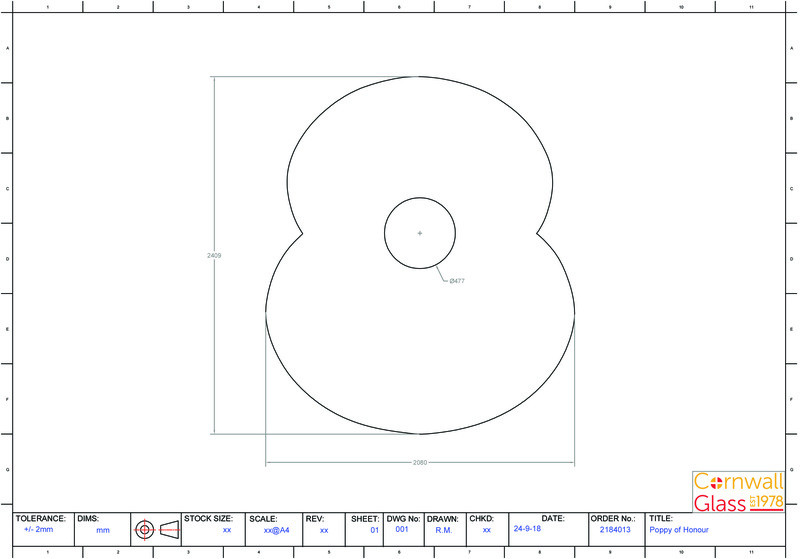 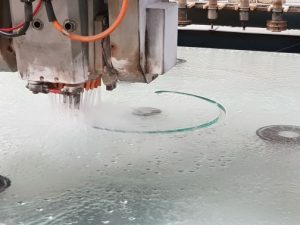 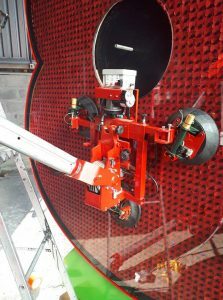 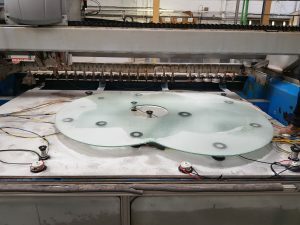 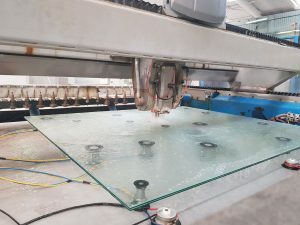 Our CNC machine precisely cuts the 10.3 mm laminated glass in to the Poppy shape. 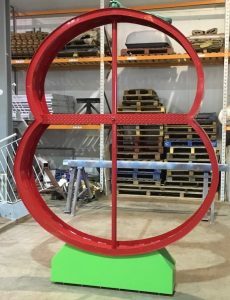 The poppy frame is painted ready to have the 1,117,635 Poppies put into place. 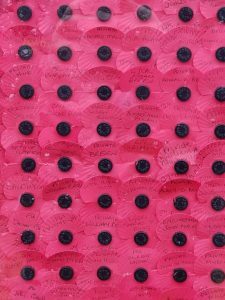 Each individual Poppy is hand written with the Rank, Name and date they were Killed or Missing in action. 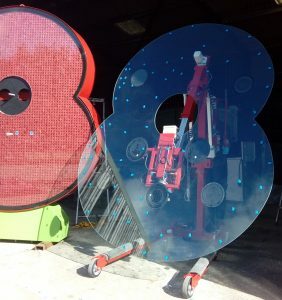 Once transported from our St Austell factory up to Somerset National Windscreens skillfully fitted the glass casing over the poppies. 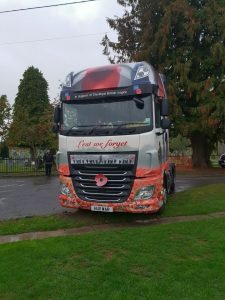 Transported to Wincanton using the Royal British Legions lorry and then winched into place for the unveiling ceremony. 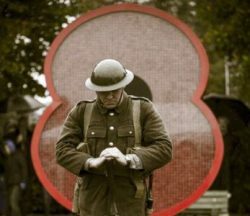 A Poem by Robert Laurence Binyon; Too old to enlist for the First World War Binyon volunteered at a British Hospital in France and cared for soldiers taken in from the battlefield. 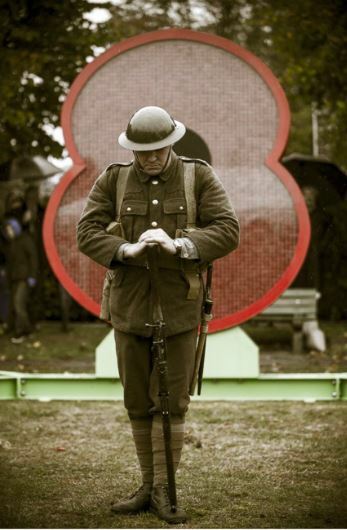 The fourth verse has been adopted by many nations as a tribute to all casualties of war.